The police have confirmed that the popular Nollywood actor Rich Oganiru is currently being investigated for allegedly his wife. The actor has since been granted bail and contrary to news making the rounds, he did not confess to the killing. 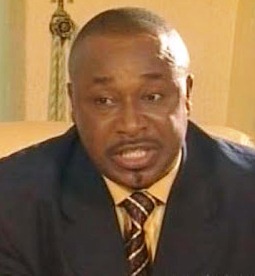 Rich Oganiru, who is one of the pioneering members of the Actor’s Guild of Nigeria, was married to a rich Abuja-based business woman who fell ill and was hospitalized for over three months in a hospital in Abuja. She had a fibroid operation a few weeks before her death. The fibroid operation was supposedly successful and she was discharged. The woman was said to have died at home the same day she was discharged. It was Rich Oganiru who picked her up from the hospital. Immediately after her death, the woman’s family petitioned the police saying they believe Oganiru killed her because of some of the things the late wife had told some family members before she died and also because Rich had been trying for a while to get rid of the woman and acquire her wealth. He had supposedly started selling off some of her properties even before she passed. They told the police that Rich Oganiru gave her a poisonous pill that ended her life. The police then arrested Oganiru on suspicion of murder, but later granted him bail because according to them, there was no sufficient evidence that he had a hand in his wife’s death. And contrary to what the wife’s family is alleging, poison was not found in the deceased body when an autopsy was carried out. Investigations are still ongoing and at the moment nobody really knows if she was murdered or if her death was connected with her fibroid operation. So after u guys finish writhing rubbish abt him u’r now saying another thing? Try and comfirm ur story b4 u publish.